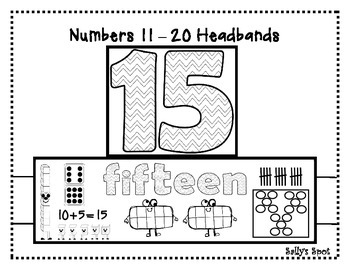 These headbands are a great way to teach the numbers 11 - 20. 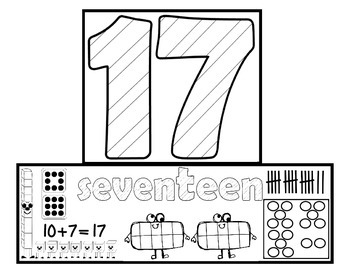 Make them as you teach each number. Children will see this number all day! Pair up children. Each child will name the number their buddy has on. They will look at their buddy’s headband and spell the number word and tell how many tens and ones are in the number. They can then both count to the number together. They could also describe everything they see on their buddy’s headband. Using all headbands, the children can sequence themselves. Have the children sort themselves by number. Two children can come to the front of the group with their headbands on. 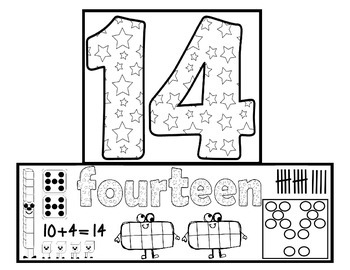 The class can determine which child has on the number that shows more, less, or if number is the same. Copy the headbands on card stock. 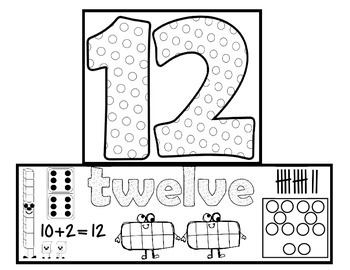 The children will fill in the ten frame, color the dots, the cubes, the number word, and the number. Add bands to the headband and staple or tape it around the child’s head.